Expecting the opportunity to experience something completely different from your everyday life such as meeting strangers and enjoying the warmth of a hot spring or eating delicious food is why many tourists come to our hotel. 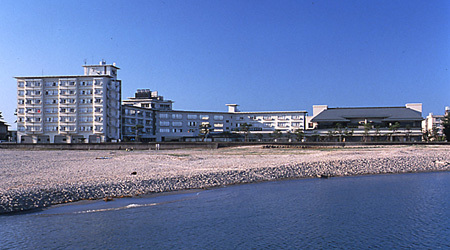 to the pine forests encircling with the white sand beaches.The Kaike Grand Hotel "Tensui "is located in a place abundantly supplied with a crisp blue sky, the freedom provided by the vast sea, and a comfortable life. "Tensui"is a true utopia where everybody can live out their dream!